Benjamin Franklin Classical Charter Public School is moving into a brand new state-of-the-art facility in Franklin for the 2019-2020 school year, and increasing our student enrollment. To support this growth, BFCCPS is hiring many new staff members, which includes a French Teacher. The role of the French Teacher is to plan, organize and implement an appropriate, comprehensive instructional program in a supportive and collaborative learning environment that guides and encourages students to develop and fulfill their academic, social and emotional potential. S/he utilizes a variety of activities to create an immersive learning experience. This may include exploring French language and culture through art, song, dance, and use of authentic materials. For the 2019-2020 school year, the French Teacher will teach grades 3-5. It will be a 3 day/week position, Tuesday, Wednesday and Thursday. BFCCPS opened in 1995 as one of the first Charter Schools in Massachusetts. As a K-8 school, our mission is to assist parents in their role as primary educators of their children by providing students with a classical academic education coupled with sound character development and community service. For more information, please visit www.bfccps.org. 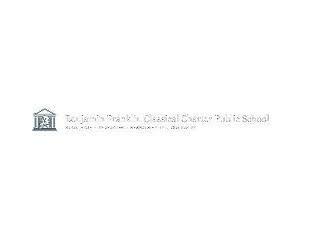 Welcome to Benjamin Franklin Classical Charter Public School! Our mission is to assist parents in their role as primary educators by providing students with a classical, academic education coupled with sound character development and community service. Benjamin Franklin Classical Charter Public School is committed to maintaining a work and learning environment free from discrimination on the basis of race, color, religion, national origin, pregnancy, gender identity, sexual orientation, marital/civil union status, ancestry, place of birth, age, citizenship status, veteran status, political affiliation, genetic information or disability, as defined and required by state and federal laws. Additionally, we prohibit retaliation against individuals who oppose such discrimination and harassment or who participate in an equal opportunity investigation.